G.W. Bailey, Robert Gossett, Corey Reynolds, J.K. Simmons, Kyra Sedgwick. Good. 2009 Run time: 690. Connecting viewers with great movies since 1972. All used discs are inspected and guaranteed. Used discs may not include digital copies. Customer service is our top priority! G.W. 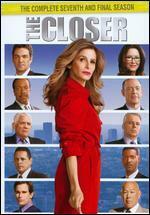 Bailey, Robert Gossett, Corey Reynolds, J.K. Simmons, Kyra Sedgwick. Good. 2009 Run time: 690. . Buy with confidence-Satisfaction Guaranteed! Satisfaction 100% guaranteed.